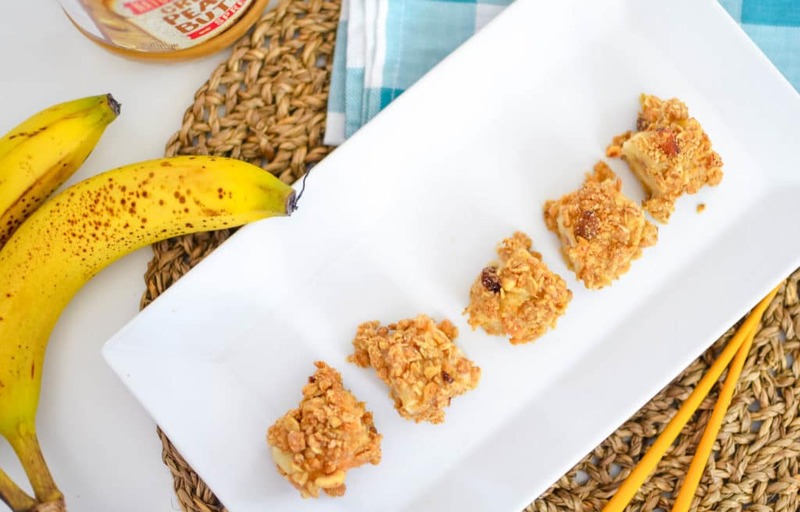 Looking for a quick & easy after school snack idea? 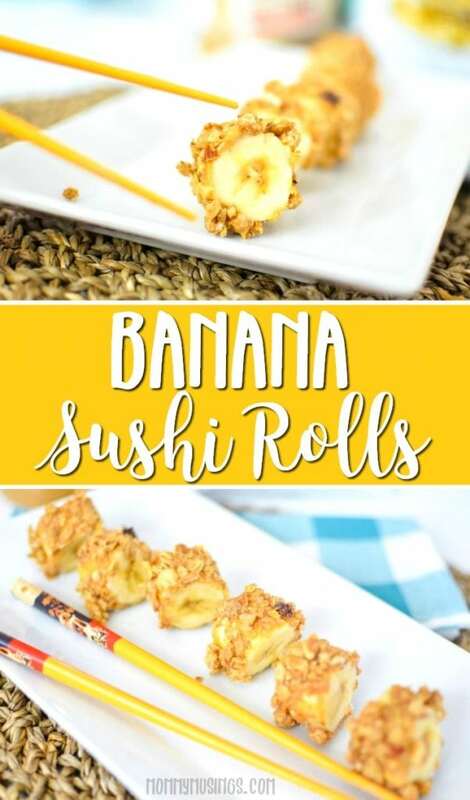 Banana Sushi Rolls are a healthy and satisfying treat that can be made in only 5 minutes! This post is in partnership with Sam’s Club for Member’s Mark. All opinions are my own. As much as I try to mix up my after school snack game, my daughter knows what she likes. She’s old enough now that she can prepare some of her own food (with limitations, of course), and often reaches for the same ingredients to snack on. 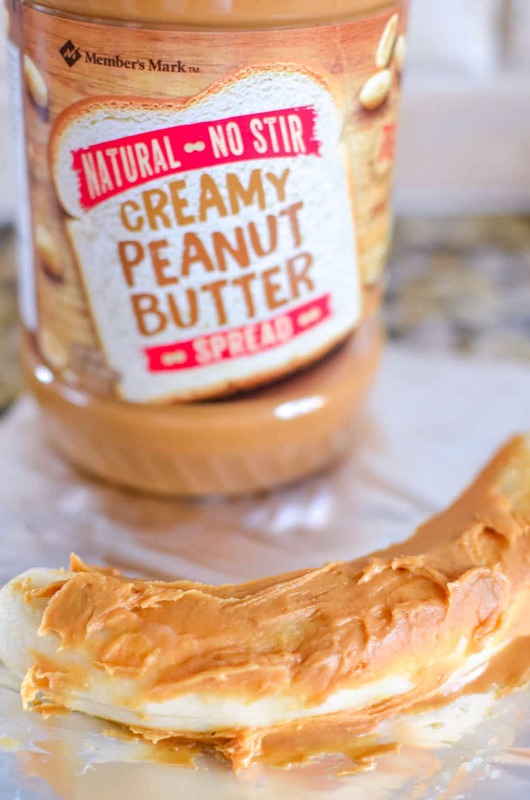 Peanut butter has ALWAYS been a favorite, but even I’m tired of seeing PB&J sandwiches made every other day. 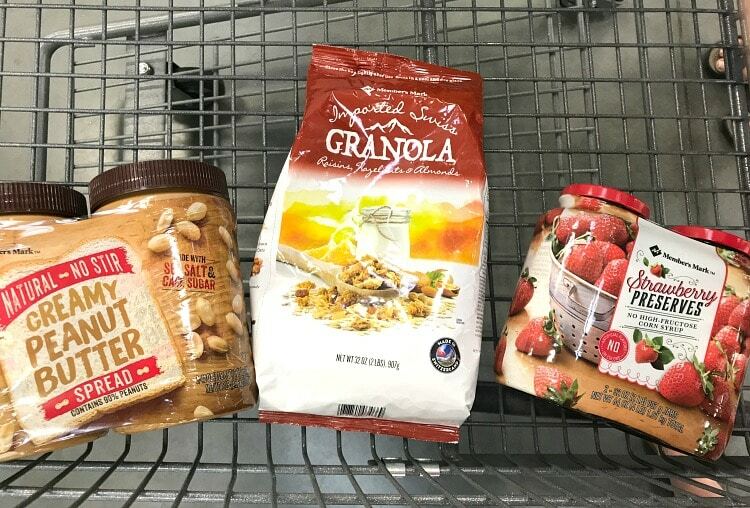 I heard that Sam’s Club had expanded and upgraded their Member’s Mark private label brand with 300 new items (there are now 2,000 Member’s Mark products in store! ), so I took my daughter with me on my latest shopping trip to check them out. I pretty much told her that she could pick whatever ingredients she wanted to make an after-school snack, and do you know what aisle she led me to? The peanut butter aisle! 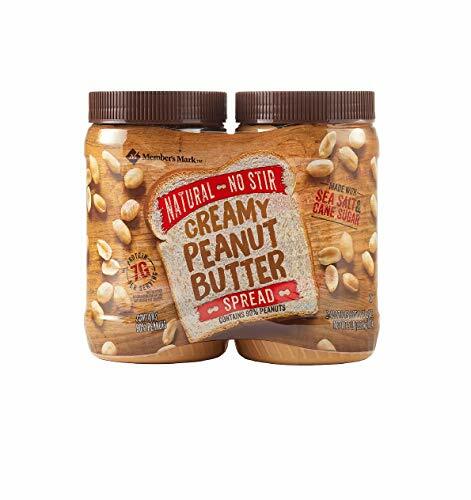 When I saw the price of the Member’s Mark natural peanut butter it was too good to resist. So I grabbed the double pack and told her to pick another item to go with it that wasn’t jelly. 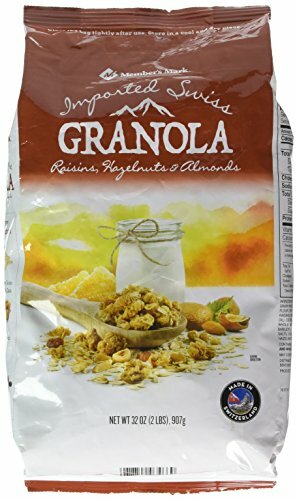 Not far from the peanut butter I spotted a bag of Member’s Mark imported Swiss granola and we both agreed it looked delicious with raisins, hazelnuts, and almonds. So into the shopping cart it went. Spoiler alert: Member’s Mark Strawberry Preserves made the cart too! We did a bit of brainstorming after that to see what we could make with these two items and then it hit me: Banana Sushi! I’ve seen other versions of banana sushi where a peeled banana is wrapped in a tortilla with hazelnut spread. My version uses peanut butter and granola. My daughter agreed that it sounded cool and it was simple enough that she could make it with me, or even on her own. Peel Banana and spread with peanut butter. This step can be a little messy, so I placed the banana on non-stick foil (parchment paper would also work well) and spread the peanut butter on each side with a knife. 2. Place granola in a zippered baggie a crush with rolling pin (or any other hard kitchen object). 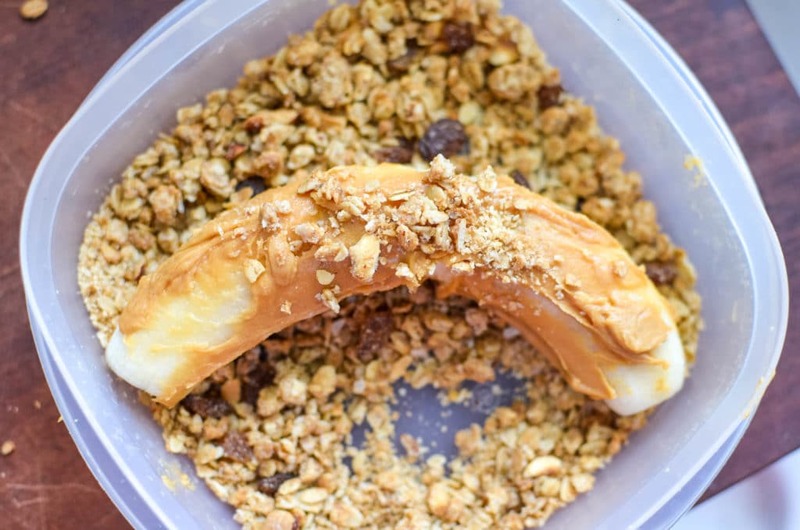 You want to get the granola to a finer consistency so that it sticks to the peanut butter on the banana — large pieces of granola are too heavy to stick. 3. 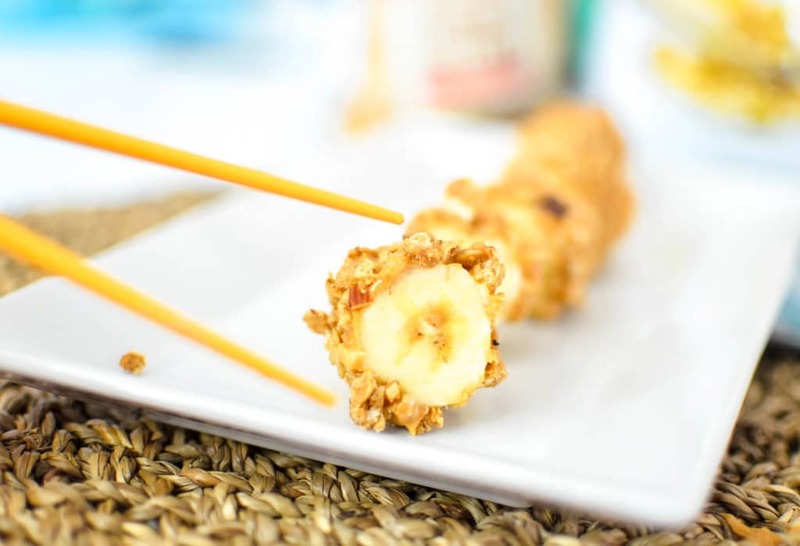 Roll banana into crushed granola, covering each side. I put the crushed granola into a container larger than the banana to make this easier. 3. Cut banana into sushi-sized pieces and serve immediately. 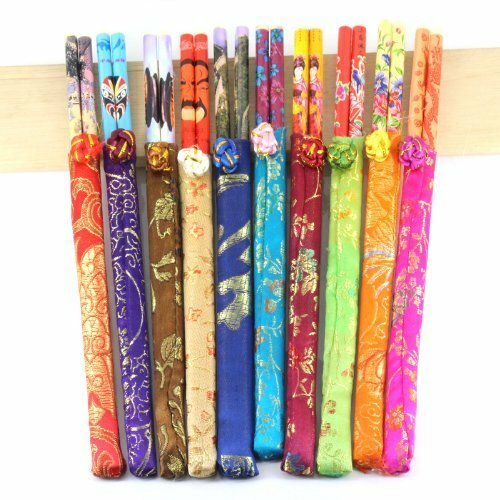 For fun, try to eat banana sushi with chopsticks. 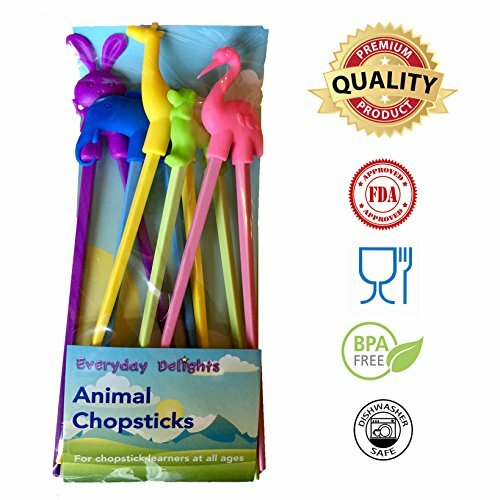 My daughter is a chopsticks master so this was very easy for her, but this would be a great way to introduce younger children to chopsticks. 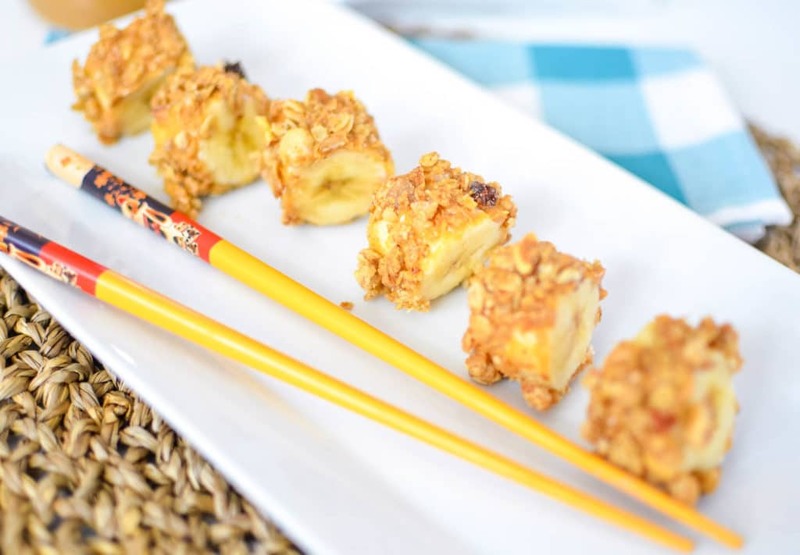 The end result of our banana sushi snack was incredibly delicious and super satisfying with the combination of carbs and protein. It was also very fun to make together! The Member’s Mark products I used were top quality, too. 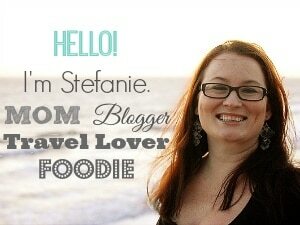 Member’s Mark worked with product developers and food scientists who traveled the world to source best-in-class ingredients and processing methods. I can honestly say that the Member’s Mark items I’ve tried rival some top national brands— and the new packaging is very stylish! In addition to pantry staples, fresh food options, tastes-like-homemade desserts, the Member’s Mark line includes napkins, plates, and utensils, which makes for easy one-stop shopping. Be sure to stop by Sam’s Club or SamsClub.com to check out the newly reinvented and expanded Member’s Mark brand— and let me know if you have any quick & easy afterschool snack ideas! Cut into sushi-sized pieces and serve immediately.